Once you’ve built your garden, created a layout, and prepped the soil, you can go buy seeds and plants, and put it all in at once, right? Unfortunately, it’s not that simple. Plants can be divided into several categories based on light requirements, sensitivity to frost, and ideal temperature for growing. 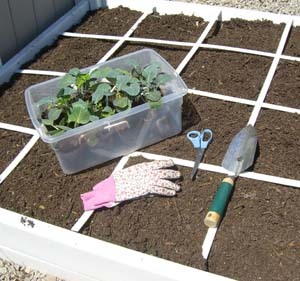 You can try planting them at the same time, but that may not give cool-weather veggies enough time to mature before the weather heats up, and it might stunt the warm-weather veggies because it’s still too cold. Most seed packets have a map with suggested planting times, but they are vague and less than helpful. Books and articles will tell you when to plant–based on the average first or last frost date for your area. I found myself befuddled as I tried to keep track of it all. My frost date is May 8, and potatoes should be planted 3 weeks before that. Spinach can go in 4-6 weeks before. Tomatoes 3 weeks after. . . It was too much! In response to this, I figured out a schedule that will work for most people. It is based on a spring-summer-fall planting season in an area that has a month or more of freezing winter temperatures. I made charts and color coded everything, and now it’s an easy system to follow. No more guessing if it’s too soon or too late to plant. Just figure out your color (a one-time task), look up the schedule, click on the current week, and refer to the chart. If a vegetable is listed, it’s safe to plant. If not, it’s either too early or too late. 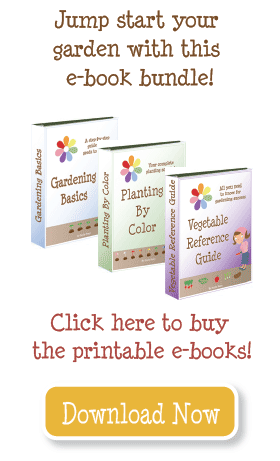 So go check out my Planting By Color system, and get ready to plant your garden! Your website and hard work are invaluable! Thank you from my family to yours!